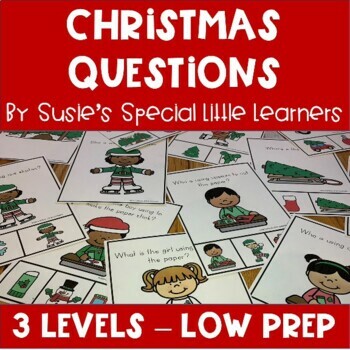 This set is designed for early learners with emerging skills in the area of answering simple what questions about Christmas activities. 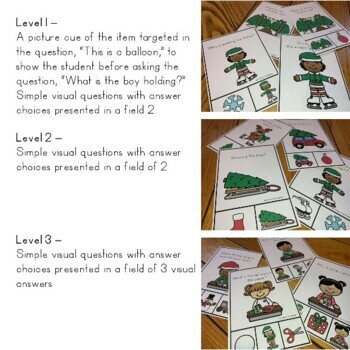 Each card features a visual question with visual choices for answering. There are 14 cards with 2 visual answers and to choose from and 14 cards with 3 visual answers to choose from. You get a total of 28 cards! This is a wonderful resource for early learners that are new at answering what questions and require support to build a new skill.